THE legendary voice of The Moody Blues is coming to St David’s Hall when you can enjoy An Intimate Evening with Justin Hayward on Sunday 11 September. After nearly 50 years in the music business, Justin can still captivate an audience like no other, and at the National Concert Hall of Wales he will provide a fascinating insight into the songwriting process behind some of his biggest hits. Performed in a stripped back, acoustic style, Justin will present some of his finest tunes such as Nights in White Satin and Tuesday Afternoon from The Moody Blues’ seminal symphonic rock masterpiece Days of Future Passed, as well as solo classics like Forever Autumn which was used in Jeff Wayne’s musical version of The War of the Worlds. Not only would this global Top 10 hit become his signature song, but he also starred in the spectacular stage production for five years from 2005-2010. With 55 million album sales to his name, Justin was presented with ‘The Golden Note’ award (the highest honour for a British songwriter) in 2005 and deservedly won a prestigious Ivor Novello statue for Outstanding Achievement. Plus, The Moody Blues have their very own spot on the Rock Walk Hall of Fame at Hollywood’s Sunset Boulevard. Joining Justin as special guest is guitar virtuoso and live collaborator Mike Dawes. 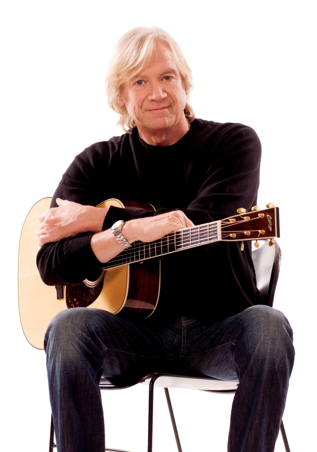 Share an evening in the company of a genuine great with Justin Hayward at St David’s Hall. Tickets are £33 & £36 (plus a £3.95 Ticket Service Charge per transaction and an optional 95p postage fee).